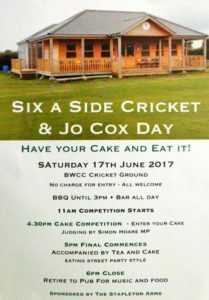 The BWCC AGM will take place on Monday 25th March 2019 at 19:00 in the pavilion (weather dependant). All are welcome, please come along and support the comittee. 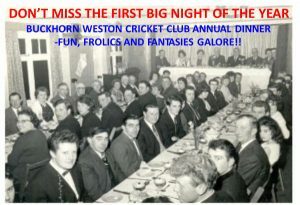 The AGM will now be held Wednesday 28th March at 7pm in the clubhouse, all are welcome to attend. 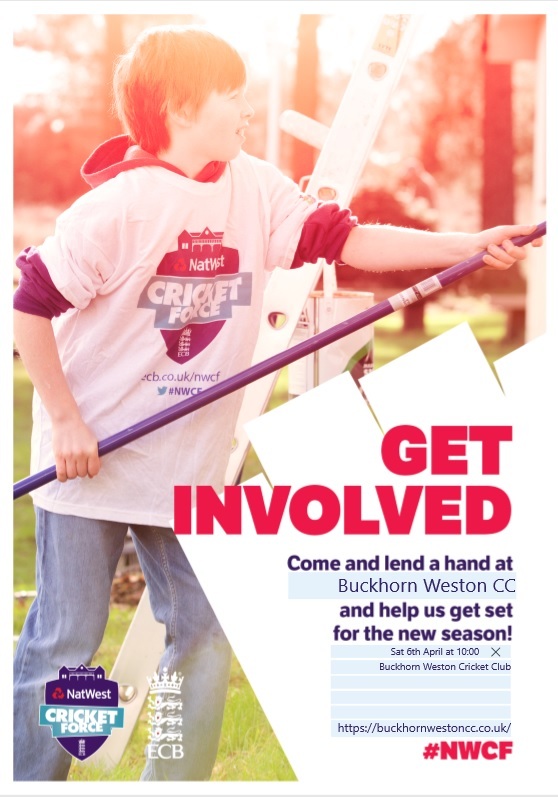 Our NatWest CricketForce day will now be held on Saturday 7th April at 10am, please come along and help to get the ground and clubhouse ready for the season! Please spread the word for both events! The BWCC Annual Dinner is now being held on Friday, 12th Jan 2018 at 7:00pm in Buckhorn Weston Village Hall. Price (to be confirmed) is just £15 per person. Please reserve your places via WhatsApp or direct to Robin, 01963 370357.